You know that you are in for a fantastic night, when none other than Roxy from Sweaty Betty PR is hosting the event. 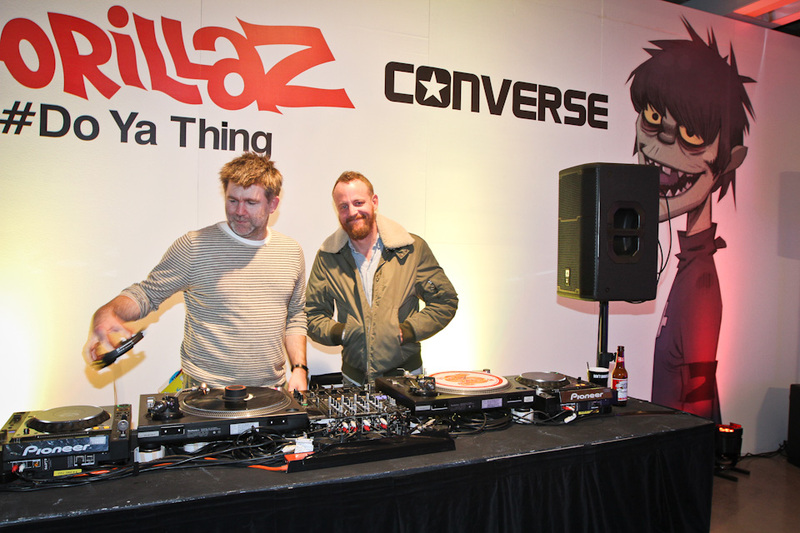 Thursday night was no different, with the launch of the Chuck Taylor All Star's Gorillaz collection for mass sneaker brand, Converse. To go along with the designs, The Gorillaz, Andre 3000 from Outkast and James Murphy, the mastermind behind LCD Soundsystem, have come together and released a single and 5 minute video titled, 'DoYaThing' for Converse. You can download the single for free from the Converse website. Music and sneaker fans will be in heaven! I've seen that Stylestalker dress in a mini version the maxi is just gorgeous! Looking fantastic babe!